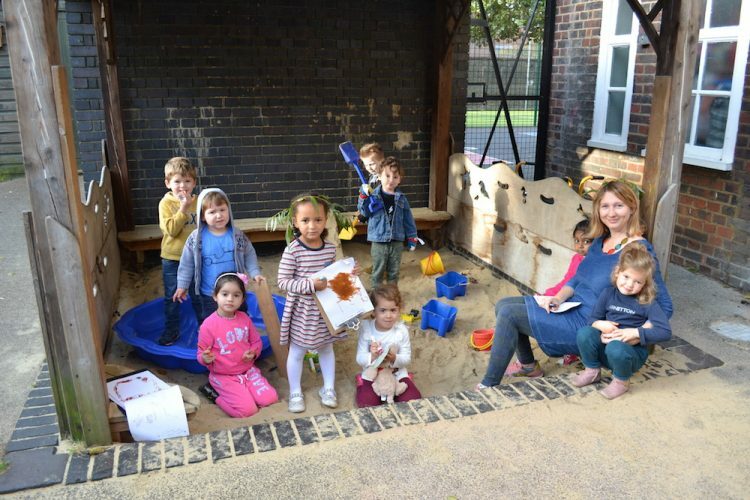 Brookfield operates a fantastic Nursery and we are delighted to have Charlotte and Daisy (formerly from Archway Children’s Centre and currently job sharing the teacher’s role) heading this up. At present, we have 17 children attending the nursery which is well below our overall capacity of 39 equivalent full time places. We think that this is partly down to changes in nursery funding and demographics. Naturally we are eager to increase our numbers and during the course of this year, we are going to be thinking of creative and imaginative ways to boost the nursery’s appeal and reputation. In the meantime, if you know of anybody looking for a nursery place either for this year or next, do signpost them our way. Barnaby (Maths subject leader) writes: Did you know Brookfield Staff are currently participating in a number of research projects to support children at Brookfield and other Camden schools? This year, Brookfield is part of a Teacher Research Project funded by The National Centre for Excellence in Teaching Mathematics (NCETM). Barnaby and Laurawill be observing and discussing Mathslessons with other Camden teachers at TorrianoPrimarySchool, and trialling these approaches at Brookfield,based on successful models of teaching in Shanghai and Singapore. Brookfield is part of the Camden Maths Hub. This allows Brookfield to participate in the Camden Primary Maths Challenge (Year 6) and the Camden Spring Slam TImes Table Competition (Years 3 to 6). 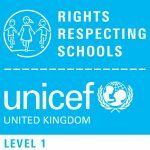 It also means Brookfield is kept up to date about good Maths practice across Camden schools,and to participate in Joint Practice Working (JPW) groups, where teachers in Camden schools meet periodicallyto research an area of Maths pedagogy and produce material to support teachers in that area. Last year, Lucy and Barnaby took part in a JPW group into Fluency in Times tables. 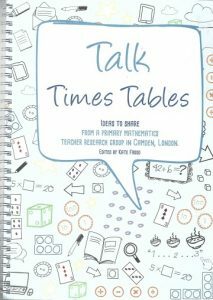 As well the group’s research leading to the inaugural ‘Camden Spring Slam’, their research has been published as a new book Talk Times Tables,​ aimed at supporting teachers in teaching timestables across the borough and beyond. The group’s research was alsofeatured in the NCETM ‘Primary and Early Years’magazine: Issue 96. This year, Brookfield teachers will once again be part of JPW groups, including learning addition and subtraction facts in Year 2, and maintaining progress in Maths in Years 3 and 4. Brookfield is currently 1 of only 7 schools, nationwide trialling the Primary School version of ‘Hegarty Maths’ – an online Maths homework portal already popular in Secondary Schools. 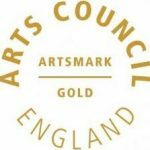 Designed by 2015, UK teacher of the year Colin Hegarty, it provides specific video clips and questions linked to every strand of the National Curriculum. 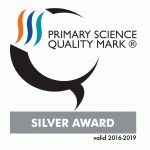 It has proven to boost attainment and is proving popular amongst many of our Year 6 pupils. Many thanks to all those parents / carers who were able to make it for last week’s Open Afternoon. We had an encouraging turn out and the feedback was extremely positive. If you weren’t able to make it, please contact your child’s class teacher asap and they will help you arrange an alternative appointment. Opportunities to meet with you on Open Afternoons are extremely valuable and our aspiration is to meet with 100% of parents / carers during the Autumn and Spring terms. As you will now be aware, our new website is now up and running and we are extremely grateful to Rob Minto (one of our parents) for helping to create and set this up. In a bid to improve communication still further, we are also going to be moving towards making our newsletters mobile / tablet friendly. With this in mind, when you receive this week’s newsletter, you will now be directed back to the school’s website where you will be able to view it in a mobile friendly version. Again Rob has done a fantastic piece of work to facilitate this and hard copies will still be available via the school office and in the main notice boards. Do take a look at the new videos which we have uploaded onto the new school’s website of the Rock n’Roll Rodeo and the Fun Run. A big thank you to Dave for helping put these together. Congratulations to all those teams who managed to fundraise during our recent Brookfield Fun Run. In all we managed to raise a fantastic £1417! 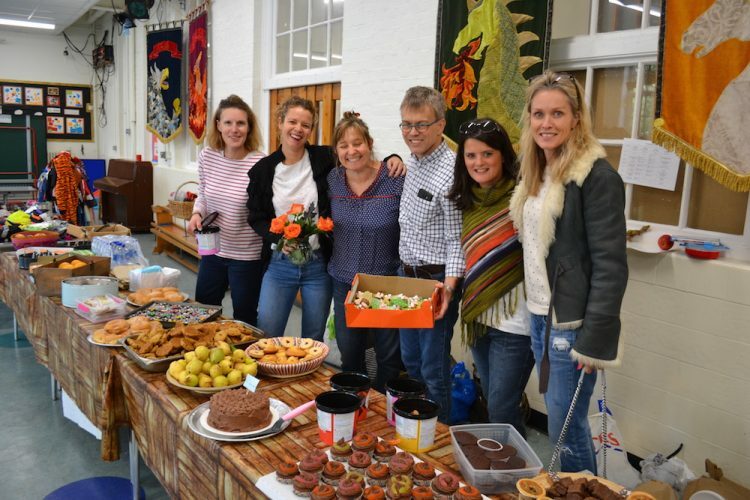 Many thanks to all those who donated cakes and Halloween costumes last Thursday at our open afternoon bake sale. Parents, carers and children managed to raise over £300 – FABULOUS!! 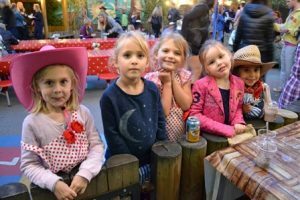 Thank you so much to the PTA for putting together some fantastic fundraising events this half term. These have included a Fun Run, Rock n’ Roll Rodeo and a Halloween Bake Sale. 9.00am – A special welcome to all new parents/carers. Come along and find out how you can get involved this year. 6.45pm – the PTA AGM where Philip and Eliane will be reporting back on last year’s accounts and looking forward to further fundraising events this year. Hope to see lots of you there. Tomorrow, Tuesday 17th Oct only the B netballteam will be competing in the finals. The A team produced an exceptional display in the last three matches, thrashing the opponents – but sadly it was not enough. 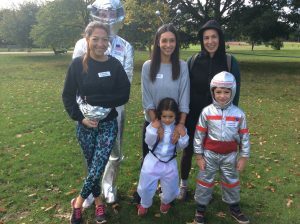 The morning runs will continue every Tuesday at 8am and we will be meeting on the heath. It is for all to attend and parents are also encouraged to join in as well. The deadline for club applications has now passed. Letters will be coming home this week offeringchildren theirspaces. Please remember that your place is only confirmed once payment is received. Payments should be made in cash or cheque. Clubs will start immediately after half term. School is closing this Friday for half term. Please make sure you clear any dinner money and /or breakfast club debts. Please could parents and carers check that their children have brought home their own coats, jackets and PE kits; when clothes have a very similar design, it is easy for children to take home someone else’s things. If you haven’t already done so, please ensure that your child’s clothes are labelled with their name. Over the last few weeks, we have received some interesting data linked to previous year’s school attendance figures. One of the most surprising statistics, was in relation to medical / dental appointments where our school is significantly above both Camden and national data. As part of our strategy to improve overall attendance and reduce the number of children classed as persistent absentees ( children with less than 90% attendance ), we would urge everybody to arrange any hospital and dental appointments outside of school hours / during holiday time where possible. Your co-operation and support is much appreciated. It just remains for me to say, how grateful I am to everybody for all their appreciation and support during what has been a challenging half term. The staff have worked incredibly hard to continue providing a fantastic education and we trust that you will all enjoy a truly relaxing and well – earned rest. True to form, I will be involved in some adventurous activities and will be canyoning and quad biking in the Brecon Beacons with family and friends. We look forward to seeing you all again, on Monday October 30th. A big one is due to Ali Masterman for the extra effort put into the bake and costume sale. Thanks also to all the generous helpers, including the children from Year 6. We may be basking in an unseasonably warm October but Christmas and other seasonal festivities are NOT THAT FAR AWAY. Brookfield kids can GET CREATIVE over half term and design their own Christmas/seasonal cards. Later you’ll have the opportunity to view your child’s design online and order cards, gift tags and even wrapping paper. The school will receive a donation for every order made. Watch out for more information in book bags later this week. We’ll also be running some lunchtime art sessions after half-term, so if you’re feeling artistic or would just like to help, please get in touch with Beckie via the PTA. Proceeds are still being counted but THE FUN RUN HAS RAISED A LOT OF MONEY FOR BROOKFIELD. Do contact the office if you have any outstanding sponsorship donations. 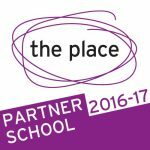 Looking forward to seeing you at the PTA meeting this Thursday 19th October, 9.05 in the main hall. All welcome, not just class reps.We still need reps for reception and nursery so if you’d like to chat about the role please email us – address below.